It may have been raining off-and-on over the weekend, but it didn't stop me from heading out to a number of shows. If you didn't get out, you missed out on some awesome showcases. --- Take, for example, the Underground Gypsy Cabaret that took over Bar Deluxe this past Friday, presenting a grand array of belly dancers, pole dancers, dancers swinging from hoops and hanging from silk, not to mention a fine assortment of musicians and a magic show, to boot. Along with over 100 pictures from the nearly-packed house for you to check out in this gallery, we chat with the highlighted band of the evening, Juana Ghani. For this interview, we'll be chatting with lead singer Leisl Bonell, guitarist Brian Bonell, accordionist Nick Newberry and mandolin player Tony Semerad. 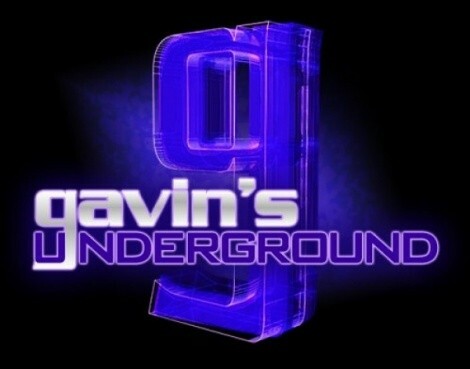 Gavin: Hey, everyone. First off, tell us a little about yourselves. Leisl: Juana Ghani is a collection of musicians who, quite simply, enjoy making music together for the fun of making music together. As with any community, we come from a variety of backgrounds, lifestyles, spiritual beliefs and political affiliations, yet we find a commonality in our love for music and the quest for new and exciting creative outlets. 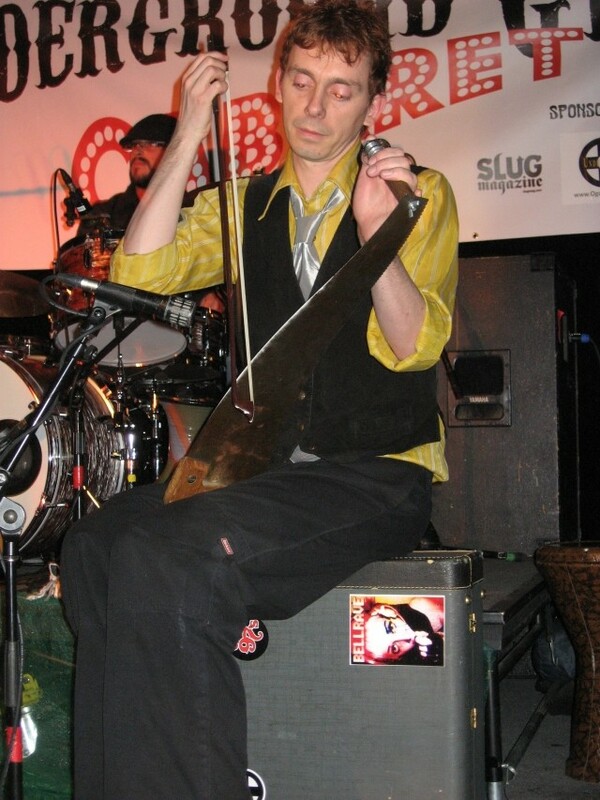 Members of Juana Ghani have played such world-famous venues as New York’s CBGBs and The Bitter End and Los Angeles’ Troubadour and The Roxy Theater. Between us, we have a good couple of centuries of musical experience and a knowledge base that extends across most genres. 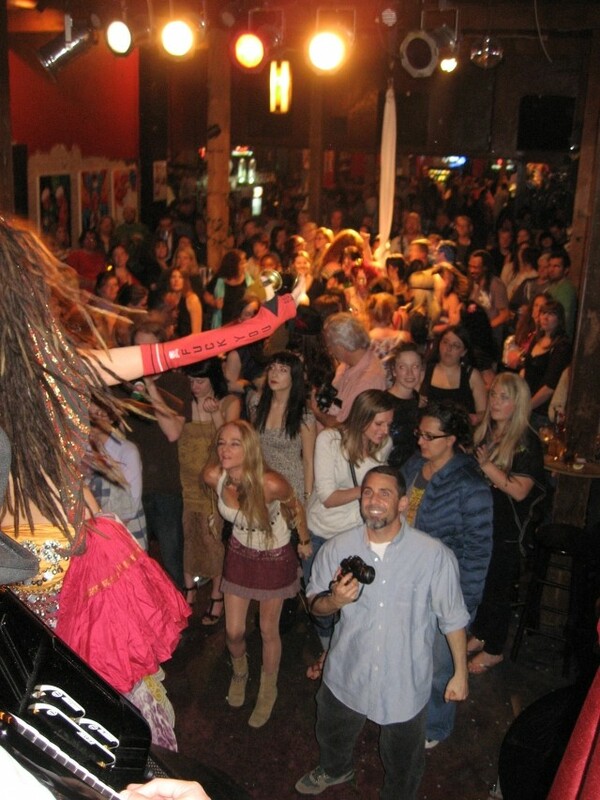 Our live shows not only bring some fabulous original music, but often include the area’s most amazing belly dancers and performance artists. It is more than a concert; it is a show. And Juana Ghani is more than a band; we are a community. I’m Leisl Bonell, Sicilian-born Capricorn with Libra moon and Pisces ascendant. I make the most amazing soup and the world’s best brownies. I love cannoli and Sauvignon blanc. And I sing. A lot. Brian: My name is Brian Bonell. I have lived both in Los Angeles and Salt Lake. I have been playing music now for about … um, well, for a while now. I started making music at a young age playing the accordion and was teased incessantly, so I quit and started playing guitar. Live, I play guitar, concertina and sing with Juana Ghani. In the studio, I have played anything I can get my hands on, from Sharpies to my stomach to more traditional instruments. Nick: I'm Nicholas Newberry. I'm a Salt Lake City native who has spent time living on both coasts. 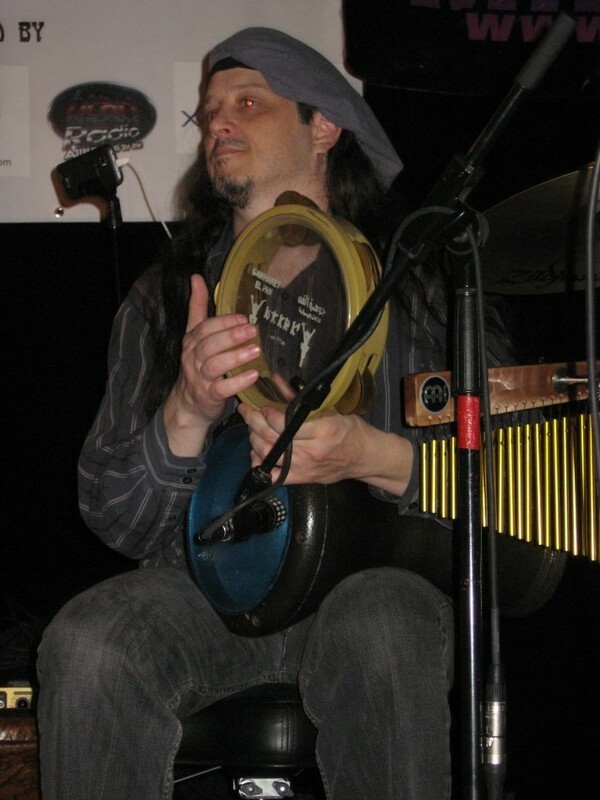 I play accordion and hurdy gurdy in Juana Ghani, and any other instrument I can get my hands on in my free time. 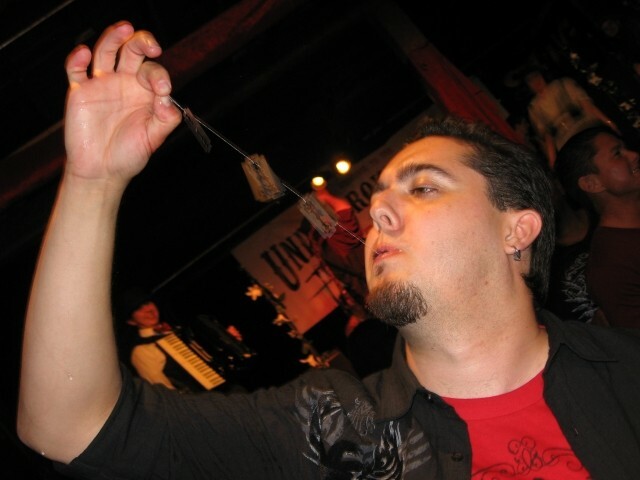 Tony: I'm Tony Semerad, the mandolin player and one of the singers in Juana Ghani. I've been on the local music scene for more than a decade, mostly as a guitarist, and long before that, as well, in rock, power pop, punk and industrial bands going way back. Leisl: I grew up surrounded by music. Practically everybody in my family plays and/or sings at least a little, so it was just always a part of my life. I grew up in a military family, so I moved a LOT. Maybe it sounds cliche, but everywhere I’ve lived and every experience I’ve had influenced me, personally and musically. As far as favorite acts and influences growing up go, I used to want to be Linda Ronstadt when I grew up. Brian: At a young age, I discovered the power of emotion that music held over me. It impacted me more than others who I hung out with. I couldn’t understand how people I was close to weren’t impacted the way I was with music. Once this happened, I could see nothing else in my life but music. Everything was described in terms of music for me. I was very influenced by the Beatles. They taught me how to write songs and how to sing. I really couldn’t get enough of them until Tom Waits ruined the Beatles for me. I don’t think I have listened to a Beatles tune or a rock and roll tune since I discovered Waits. He opened my mind to a whole new world of possibilities. After that, I was led towards eastern European folk music by the likes of Gogol Bordello, Taraf de Hadouks, Romano Drom and Goran Bregovic, to name a few. I started experimenting with different instruments that aren’t normally associated with Western music and different rhythms and grooves. Nick: I originally started to play guitar out of a teenage desire to be Bob Dylan. From there, I just kept listening to music and searching out new sounds. I am a great admirer of the accordion playing of James Fearnley from The Pogues, and Jeremy Barnes from A Hawk and a Hacksaw. Tony: I come from generations of musicians and music lovers and have played since I was a child. I can't not write and play music. My first favorite -- as a 5-year-old -- was Louis Armstrong. My main musical influences include Django Reinhardt, Charlie Christian, Robert Johnson, Jimi Hendrix, The Beatles, Blind Faith, David Bowie, Steely Dan, The Jam, New Order, Television, The Smiths, Fugazi, Dinosaur Junior, The Replacements, The Pogues, Radiohead and Nine Inch Nails. Gavin: What drew each of you toward world music, and specifically, Gypsy and cabaret music? Leisl: It just sort of happened, honestly. Growing up military and living all over the world, I was exposed to so much of it firsthand. It invaded my blood. Melody, harmony, and rhythm are understood no matter where you live. And I really love when you take certain bits and pieces from one culture’s music and marry it with another’s, creating something new and familiar from it. Tod A. does this with his band Firewater. If you don’t know Firewater yet, you should! Get thee to YouTube and/or iTunes NOW!. He draws on his punk past -- Cop Shoot Cop -- in attitude, then throws in Middle Eastern instrumentation and rhythms, then weaves in the most amazing lyrics. My attraction to cabaret music comes from my love of theatrics and drama. I love a good story, and cabaret takes a good story and kicks it up a notch in the telling. It’s fantastical and dramatic and I love that. With Gypsy music, it’s sort of the same, only with a different, more honest and naked sense of passion. Gypsy music tells the story of life; it is love, betrayal, joy, madness, death, and legend. There is just something so incredibly soul-familiar in it for me. Brian: When I first discovered Gypsy music, it was an epiphany for me. Listening to that music, I felt like I was home. I don’t know how to describe it. It just felt right to listen to it. I knew this music even though I didn’t know this music. I was who I am. I resonated with it so closely, much more than any other music I had experienced. It was a part of me from first listen. Hearing an accordion and a violin together is just so right. There is nothing sedate about this acoustic music. I like percussion and I play guitar percussively, so I was immediately attracted to these more interesting and complex rhythms. 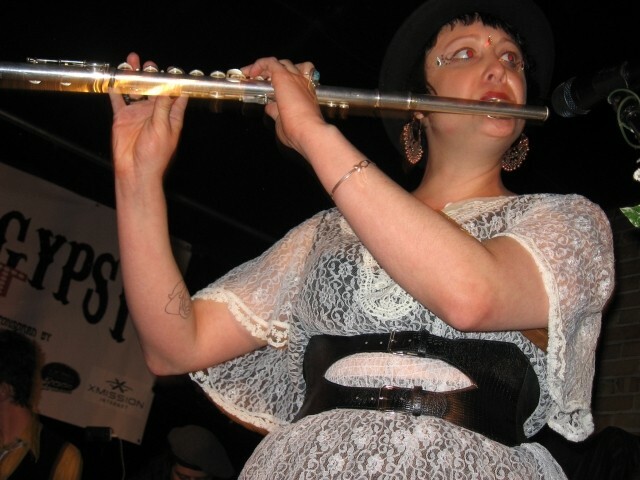 Whether it is Italian, Greek, Spanish, Russian, Romani, klezmer -- I think that mostly I am attracted to the energy and the passion of the music. It is truly timeless. Nick: I fell into it by accident, really. I enjoy listening to bands that were able to generate a high-energy sound while at the same time playing more traditional instruments. So it's really just been a process of discovery by chance. 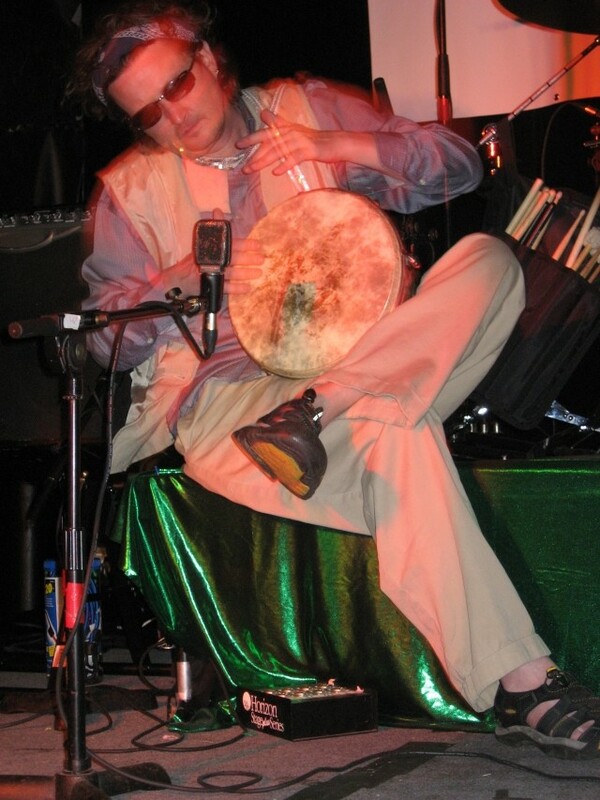 Tony: World music is an impossibly large category, as evidenced by the difference between my first world-music influences, Fela Kuti and King Sunny Ade, and stuff I listen to now, such as Gogol Bordello, Azam Ali, Aram Bajakian or Andy Palacio & the Garifuna Collective. That said, I have always liked that world music isn't what most people play, while having an almost infinite range of emotion and variety. Gypsy music is the music of the wandering, passionate soul. It is simultaneously melancholy and overflowing with joy. This makes it special. Gavin: How did you all come together to form Juana Ghani? Brian: A few years ago, I had become frustrated with the music that I was hearing and playing. It was all so much the same that I had become bored with it all, so I quit participating. After being away from it for a while, I started discovering music that really resonated with me -- Waits, Firewater, Gogol, Katzenjammer, Urban Voodoo Machine. When I sat down to start writing songs again, a whole new style of music came out of me. I started writing music that made me happy instead of trying to conform to accepted norms. It all started to grow from there. Suddenly, we started attracting like-minded musicians who shared the same viewpoint. Since then, Juana Ghani has really taken on a life of its own. Leisl: Brian and I started writing and recording the music a couple of years ago and posting it online. Oddly enough, people in Europe and the U.K. picked up on it first and started playing it on podcasts and Internet radio. Suddenly, people were asking us where we were playing out. That’s when we decided we should probably put a band together. I’d met Tony when I was doing some guest vocals for No Blood to Spare a few years ago. He joined up with us first. He found Nick and brought him in. Then Chris Doumbek came in and it all snowballed from there. Before we knew it, we were 13 strong! Tony: I met Brian through his wife, Leisl, who was a guest singer for an industrial music collective I played guitar for called No Blood To Spare. One day, after I mentioned I was channeling my Bohemian ancestors on mandolin, which I was learning to play at the time, she asked me to come play with Brian and we clicked. 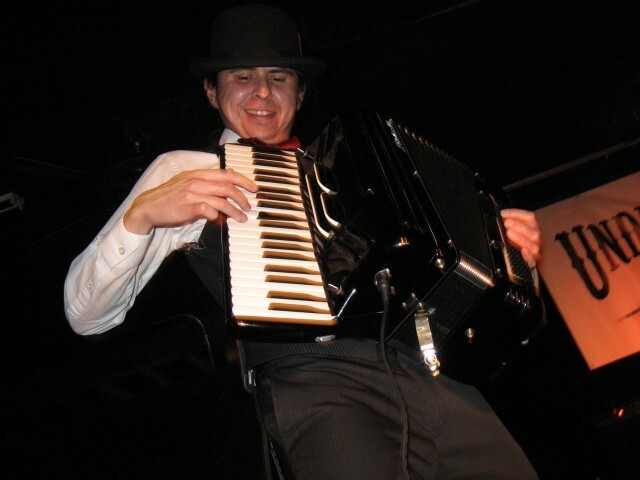 We met Nick, our amazing accordion player, shortly thereafter and have been adding like-minded musicians ever since. Nick: I had originally spoken to Tony on Craigslist about doing some sort of folk project. That project fell through for some reason or another, but Tony invited me out to play with this other band he had recently started playing in, Juana Ghani. Brian was already playing guitar and was a much better guitar player than me, but I had my father's old accordion lying around and Brian had said they wanted to have accordion in the band. So I ended up becoming an accordion player to join the band. Gavin: While most of your music falls into the traditional role, you claim to have an alternative spin. Can you explain how you go about creating that kind of tone to this music? Brian: I stopped caring about what I thought that other people might like and started writing music that made me happy. I set out to write songs longer than 3 and 1/2 minutes long. I set out to play with different rhythms and grooves, and I wanted to write music that didn’t feature the guitar as the main instrument. I followed my heart. I am a guitar player, but I consciously chose to have other instruments take that melodic role. I would honestly rather hear an accordion or a violin solo than a guitar solo. Nick: I think it's because we appreciate the traditional sound, but don't feel tied to it necessarily. We're not determined to stick to strictly traditional instrumentation or methods or whatnot. We let everyone in the band contribute their own individual sound, and blend it all together; sort of a modern day equivalent of an old-time village band, with everyone contributing to the whole. 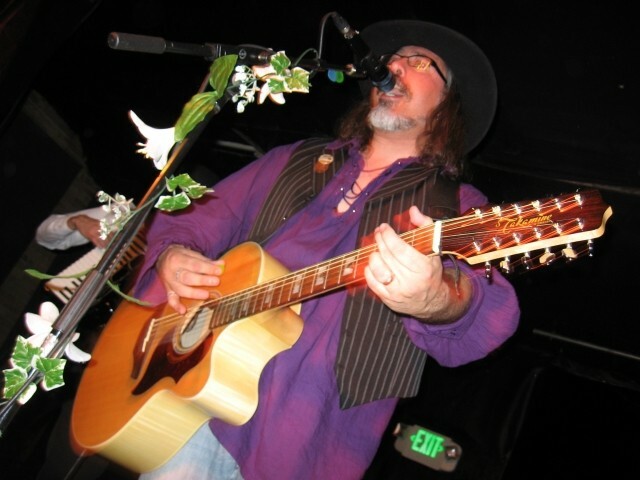 Tony: To me, we live on the edge of a major-chord alternative sound and minor-chord Old World feel, with acoustic instrumentation, unconventional full-throated harmonies, unique composition and songs populated with idiosyncratic themes and weird characters. Gavin: Last year, you released your first album, Budmo! What was it like recording that album, and what issues did you deal with along the way? Tony: Budmo! is Brian and Leisl in the studio. The range, atmospherics and incredible impact of those songs are testament to their awesome talent at writing and recording. Nick: The demo Budmo! is largely a product of Brian's efforts to try and capture the sound in his head. Those demos have served as the groundwork that we have built our band and our sound on. Brian: Budmo! was written before the band was assembled. I had written and recorded all of the parts and Leisl had done all of the vocals as well as co-writing the lyrics on that release. It was an interesting experiment. I had a studio in my basement and no time schedule for writing music. I could spend a month on a song if I wanted to. It afforded me an unlimited sense of freedom to do what I wanted. I had all the time in the world to experiment with sounds and instrumentation. It was a much different experience than writing as an ensemble. Gavin: What did you think of the local reaction when it came out? Brian: Literally floored! I was not expecting any reaction to it because I had really never intended it to get out any further than just a few of my close friends. This music was a diversion for me; I had no preconceived notions about it. I was doing it because it made me happy, not something that I ever even thought of performing live. When it was received as well as it was, it was really one of the happiest times of my life. I had put myself out there for everyone to see, and people responded in a positive way. It has been extremely fulfilling. Leisl: It really is amazing. I’ve been singing my whole life, but this is my first time as a songwriter. It’s a very naked feeling when you put yourself out there like that, and to have people embrace it and love it and tell you how you’ve touched them … it’s a really incredible feeling. Tony: I don't think any of us expected the extent of the positive reception, which, thanks to the Web, came from as far away as Australia and Bulgaria. We've had enthusiastic responses from people around the world, especially for songs like "What Did I Know," "Kasojeni Bay" and "The Incredible Sadness of Sonia." Nick: Everyone who has heard it has been really encouraging, and people seem to react positively to hearing instrumentation that they don't typically hear in your everyday rock or pop band. Gavin: You've become regular performers at festivals, but have also become a mainstay band for a lot of cabaret shows in Utah. How has it been for you being accepted into that community? Brian: It has been wonderful. I always wanted the music to be just a part of the whole show. So to be able to include dancers and cirque performers in the mix for these cabaret shows has been wonderful. It is a total experience, not just music. It is art and dance and expression and magic and music! What could be better? The festivals are wonderful. It is such a great way to connect with a ton of like-minded individuals. They are the best part of summer! Nick: It's been fantastic! It's nice to have a very supportive audience to work with. There are many talented dancers and performers who are part of our shows, and the sad part is that there are so many talented artists out there, the real limitation is simply finding the time to work with all these wonderful people. 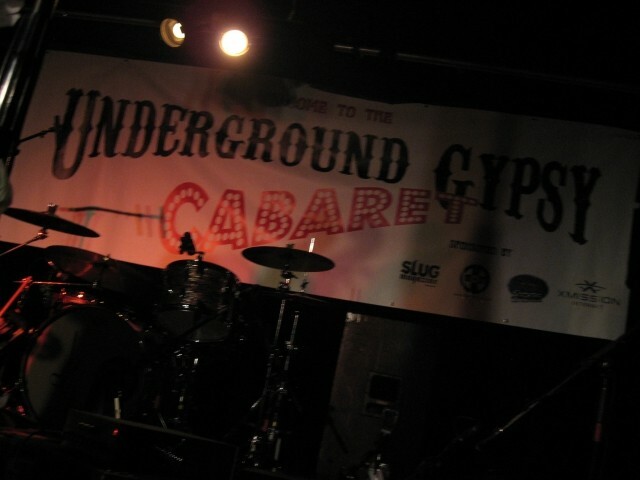 Tony: There's a natural connection between Gypsy music and the urbane feel of cabaret in a nightclub setting. Our vision has always included putting on eclectic, almost circus-like, shows, with costumes, a variety of performers, dancers, exotic acts. And our collaboration with so many wonderful belly-dance performers has brought us the varied kinds of audiences, including both cabaret and festivals. Gavin: Are there any plans at the moment to record another album or possibly tour? Leisl: We just finished recording our first full-length CD with the whole band and are aiming for a late-spring/early summer release with it. Possible tour? Sure! Why not? Anything is possible. Brian: Once we had the whole band together, the music that was written early on has taken on a new life of its own. Having 13 incredibly talented musicians together playing, this music really morphed it into something special. Doing a full-length CD seemed a natural. But this release is not just a CD – we’ve got a bit more in the works to go along with that. It will be a much larger celebration than just music alone. 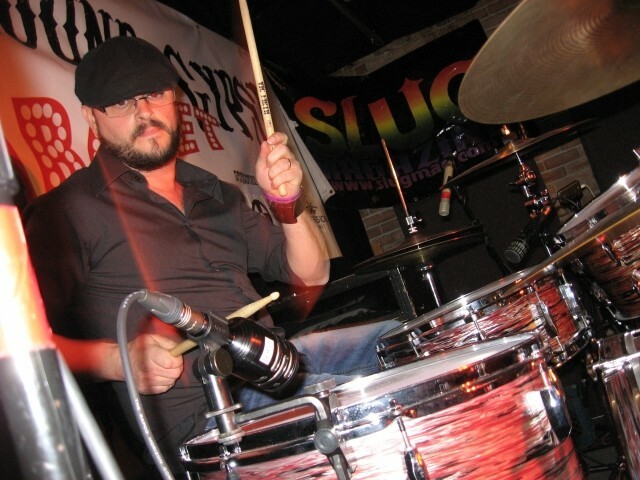 Tony: We've laid down tracks for a new album and are in the process of finishing it up now, with hopes of releasing right at the start of what we hope will be a really fun, active, 2012 summer-festival season. Nick: We are in the process of mastering our first full-length album, which we hope to have out in the summer. We'd certainly love to tour in support of it, but it is a challenge getting a band of our size out on the road. That being said, I'm sure we'll figure something out. Brian: I think that the local scene is very hungry for something new, intelligent and creative. I think that people are tired of the musical status quo, which is why attendance at bars that have bands playing has, at times, been pretty dismal. When there is something unique and cool, people respond and come out. I think that there is a new breed of upcoming bands that are striving to be something more than a rock band. People are starting to branch out with the instruments that are played. Accordions, fiddles and banjos are becoming quite prominent. The Irish scene is very happening. I think that Salt Lake stands a very good chance of being recognized as a national hotspot for talent, similar to Seattle, LA, New York or Austin. It is very exciting to be a part of that. Nick: I think the local music scene has grown a lot in recent years. It is still a small community, but I think we've seen a lot of bands, as well as venues, who are passionate about promoting local music. I think that there are still challenges with local music, and I think some local venues can be very challenging for local acts to work with, but overall, the community is supportive and growing. 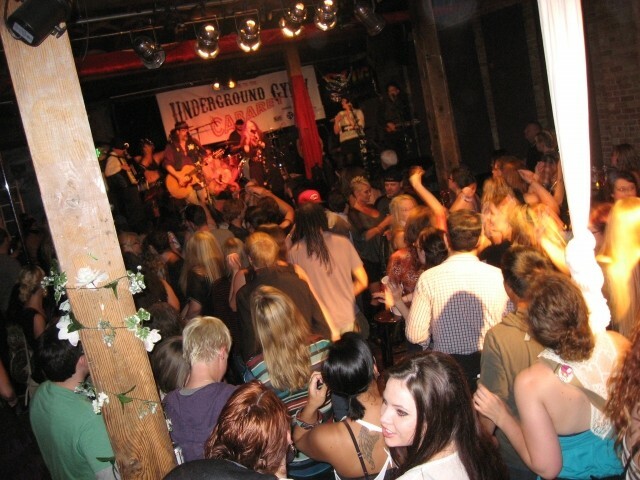 Tony: Local music is as vibrant and dynamic in Salt Lake City as I've seen it in 20 years. I'm constantly blown away by the creativity, musicianship and experimentation that goes on. It's a great time to be playing. I'm no genius, but it seems that Utah's liquor laws inhibit growth of the scene. I'm at a loss about what to do about that. Brian: Bands should take the responsibility to produce a good show that is worth coming out to see rather than sit and complain about how no one supports local music. If you build it, they will come. Nick: I think the key is just to support it at every turn. If you know a band you like is playing, get out to support them as much as you can, and when you hear new acts that you enjoy, be as supportive as possible and be as vocal about that support as you can. Interact with them via social media, recommend their music to your friends, and do your best to get the word out. Really, with local music, it's all about putting in the effort. Tony: I would like to see even more venues open, of course, but in terms of being more prominent, my experience is, being "discovered" and popularized as a music scene isn't always good. There's a kind of low-key and accessible feel to things now I really like. Leisl: I am really loving Hectic Hobo, Folk Hogan, Rakatanga, and South of Ramona – and, of course, the side projects of some of our members: Drodna, Bellrave, and Bonnie Mad. Brian: I really like Folk Hogan, Hectic Hobo, Rakatanga, South of Ramona, as well as Bellrave and Drodna. They all are embracing the idea of creating something new, fresh and unique. Plus those that we have played shows with have made for some pretty incredible nights, as anyone who has attended could attest. Nick: There are a lot of great acts out there in the local music scene. 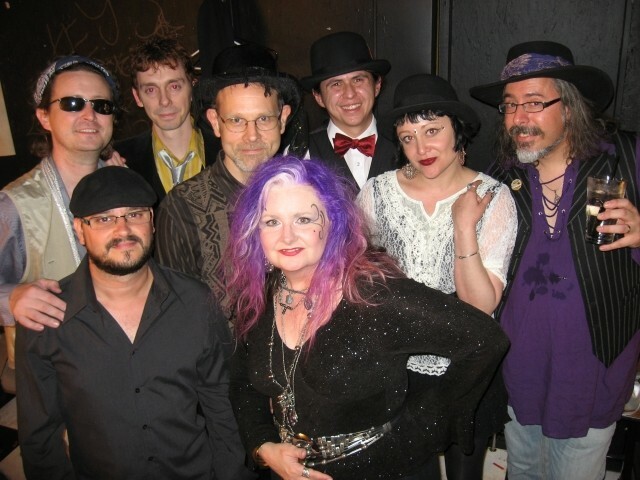 We've got several shows with Hectic Hobo, who have a fantastic Gypsy/Americana sound, and I love the energy and mayhem that the folk/punk band Folk Hogan brings to every show. Tony: I'm a huge fan of a group called Matteo, love Folk Hogan, Hectic Hobo and The Folka Dots, and am into just about anything Lindsay Desiree Heath ever does. Many of my fellow Juana Ghani band mates -- like Hollace McMeirce, Allison Martin, Bryan Bale and Allen Mautner -- have fantastic side projects going at the moment. Music fans should check them out. Leisl: I think our community stations do an okay job of playing local artists, but I do think they could do more. There are a lot of really good bands and musicians in this area that don’t get the play and attention that they should. I’m not entirely sure why that is. But I will say that John Farmer and the guys at Utah Musicians Radio are trying to change that and are giving all Utah musicians, regardless of genre, a chance to be heard. I think what they are doing is super-cool for the music community here. Brian: I’ve never been too concerned with it. It’s cool when it happens, but what is going on with the Internet and word of mouth is so much more exciting. It feels more organic, in a weird way. Community radio can be good for the community, but with the Internet all the world is a stage. It is much farther reaching. Nick: I think community radio can be a great opportunity for local music. Again, as with the local music scene in general, it's all about support. If you make the effort to seek it out and support it, you can find a lot of great stuff out there. Tony: I am a loving fan of KRCL and consider it a mainstay to local music. Beyond them, I don't think local music gets a fraction of the airplay it deserves. Leisl: It’s a wonderful way to discover new music! I, personally, have found such cool stuff this way, so why wouldn’t I want to return the favor? Tony: Offering free tracks is not only the right way to go with new technology, it's essential. Brian: I think that offering music free to download or listen to is wonderful. After all, it is supposed to be about the music, right? Not about making money at it. You do it because it is a passion that you can’t avoid. It’s not a job for me; I wouldn’t want it to be. Reverb Nation is a great website for posting music to the world, so is Bandcamp. We have made a ton of contacts throughout the country and the world thanks to those sites; both listeners and other bands. Actually, we subscribe to the “pay us what you think it’s worth” approach and that has worked really well for us. Nick: I think that with the way that music keeps on changing, it's a must. It gives people who are on the fence a chance to experience the music and decide for themselves. We've put tracks out for free download in the past, and we'd love to continue to reward our fans with free download exclusives of new material or maybe material that doesn't work as well in a live environment. I don't think that offering up free tracks hurts the band, and I've seen our fans routinely support us by buying the album and continuing to come out to our shows. Gavin: What can we expect from all of you over the rest of this year? Tony: Mix the new CD, launch the CD and play live all over the place, in that order. Brian: Lots of new things: new music, new arrangements, new performers and lots of surprises. We are booked pretty solid right now up to October, so we plan on being seen and heard by lots and lots of people. And for what it’s worth, I am playing a lot more ukulele these days. Nick: More music! We're gearing up for the summer-festival season and our first full-length album release, and we are working on new songs to start playing live. Leisl: Yes, all that, and a BOOK! Yes, a book. Brian’s been busily writing away on a little novel, all about Kasojeni Bay and Sonia. It’s a wonderful stor.! And it features some absolutely beautiful pieces of art from some of our favorite artists and photographers. It’s a beautiful piece of work. Leisl: Let’s see ... new CD coming out, new book coming out, lots of wonderful shows and festivals coming up: April 28 at Earth Jam; May 5 at the Woodshed with Bonnie Mad and Sugartown Alley; May 19 at Mojo’s in Ogden with Hectic Hobo; Pride; Utah Arts Festival; Ladyfest; Underground Gypsy Cabaret! 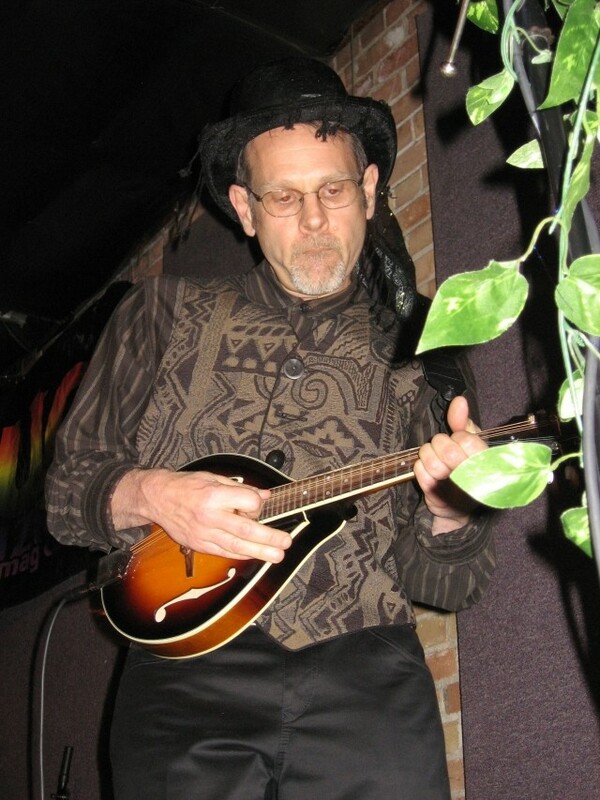 Brian: Our website and Underground Gypsy Cabaret. Go check out Folk Hogan and Hectic Hobo. Look for South of Ramona and Rakatanga. Keep an eye out Juana Ghani, you won’t be disappointed. Nick: Besides Juana Ghani? 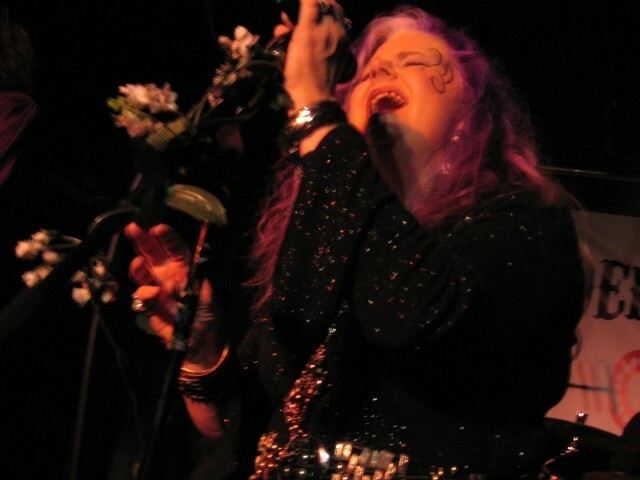 I have a new project, an Irish folk band Bonnie Mad, that will be playing with Juana Ghani on May 5 at The Woodshed. You should be there! Tony: Come see Juana Ghani live. If you like infectious music, fun visuals and a good time, you'll love us.